The Love Inspired Historical team is excited to invite you to participate in our newest contest: the Manuscript Matchmakers pitch! This is a fantastic opportunity to sell your heartfelt, faith-based historical romance. To help you along the way, we’ll be offering advice and feedback for each contest stage, but right from the start, we’re showing you how to get our attention by asking you to target a particular “team.” Each team is focused on a hook that works well for our readership: Team Amish, Team Mail Order Bride, Team Babies/Children, Team Cowboy/Rancher, Team Marriage of Convenience, Team Reunion Romance. There’s also our wild card: Team Choose Your Own Hook, for stories that may not fit into one of the categories listed above, but still have wonderful, engaging themes to catch our attention. So how do you know if your story has a strong hook? To answer that, let’s look at what makes our other “teams” so popular. With historical romances, there’s a lot of appeal to the idea of mentally journeying to a simpler world. Was life easier for the people in an old western than it is for us? Of course not. But when you watch an old John Wayne movie or curl up with a western-set novel, you can enjoy the straightforward, direct nature of the choices and problems they face. Amish stories hold the same appeal—a life uncluttered with the complications and shifting priorities that we’re used to in our daily routines. Nothing tugs at the heartstrings like a child in need of care and affection. If your single mother heroine is struggling to raise her twin five-year-old boys after losing her husband, then those are struggles that will get your reader interested right away. Similarly, reunion romances begin with strong emotion. Something happened in your characters’ pasts that pulled them apart. So when they’re pushed back together again, overcoming the pain of the past can be an emotionally fraught journey—a journey your readers will be happy to take with you. When was the last time you couldn’t put a story down because you were so engrossed by characters…organizing a PTA bake sale? I’m guessing the answer is “never.” Whatever era or location you choose for your story, aim for high stakes. If things don’t work out, what do your characters stand to lose? What are they willing to risk to have a chance at happiness? It’s these high stakes that make marriage of convenience and mail order bride stories so intriguing. To put your hopes and plans for the future in the hands of a person you don’t know, and may not trust, is a frightening prospect. What obstacles will you have to overcome to find happiness together? There’s the character’s whole life at stake—which makes the reward of a happy ending all the sweeter. 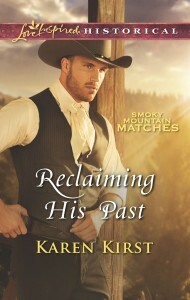 In these turbulent times, what could be more appealing than a man of rock-solid integrity—a rugged cowboy who’ll to put himself in danger’s path to protect others, or an Amish farmer of deep-seeded faith who loves his neighbor better than himself, even to the point of opening his home and heart to a stranger in need? These heroes stand for honor and decency in a way that will make your readers fall in love with them from the start. What kind of woman would leave her home behind and travel across the country to become a mail order bride? An interesting woman, certainly! We want your heroes to be strong and reliable, but choose hooks that highlight your heroine as a dynamic, engaging personality who challenges and matches the hero along the way. So do you think your story has the bait to hook our editorial team? I hope so! 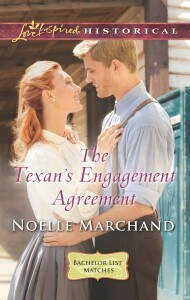 Check out the information on the contest at http://www.harlequin.com/ManuscriptMatchmakers/ and see if you’re ready to join in the fun! Um, define “faith based” please. Could I write about the Toltec or Olmec empires? Could I set it in Egypt? In Samaria? In Babylon? In Mongolia? And by those places, I mean in classical times, each time. So there is an implied faith in each one. Or what about in ancient Greek or Celtic times? Or pick a Native American tribe and write about them before European contact? These all have “faith” but none of them are Christian faith. I’ve skipped Muslim and Jewish also. Personally I find the older histories and non-monotheistic faith stories more varied and interesting. They most certainly did have strong faith and morality also. And their world was at once more dangerous and more simple. “wisdom” was all that stood between them and death every day. Today with all the science (that nobody can agree on anyway), the technology (that just harasses everyone into replying to everything constantly, and without thought), and the apathy (probably due to being constantly overwhelmed)… I think it would provide what you’re looking for without tying everyone to one faith. It might also undo some of the unconscious harm of classifying these older faiths as amoral or savage. After all, our great great great… grandmothers and grandfathers believed that way. I’d like to think there were some seeds of morality in it. Of course, it is important to grab your readers’ attention with certain techniques that really work! Follow http://bestresumewriting.services/ for further details! In my haste to submit a romance novel, I neglected to include a brief bio; I am a native Texan, real estate broker in TX, CA, WA and OR – worked in Brazil a year for friends tutoring their teen girls and interpreting contractual language for their company plus teaching English to whomever. 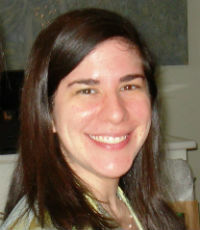 I attended Randolph-Macon Woman’s College and graduated from SMU with a BA in English. I am fluent in Spanish and reared four sons; have lost two already so like to stay busy writing. Don’t smoke or imbibe alcohol, am a cancer survivor, and finally can write, write, write. I have two other completed novels and several more in my head, trying to break out into the sunshine, as it were. Gracias.